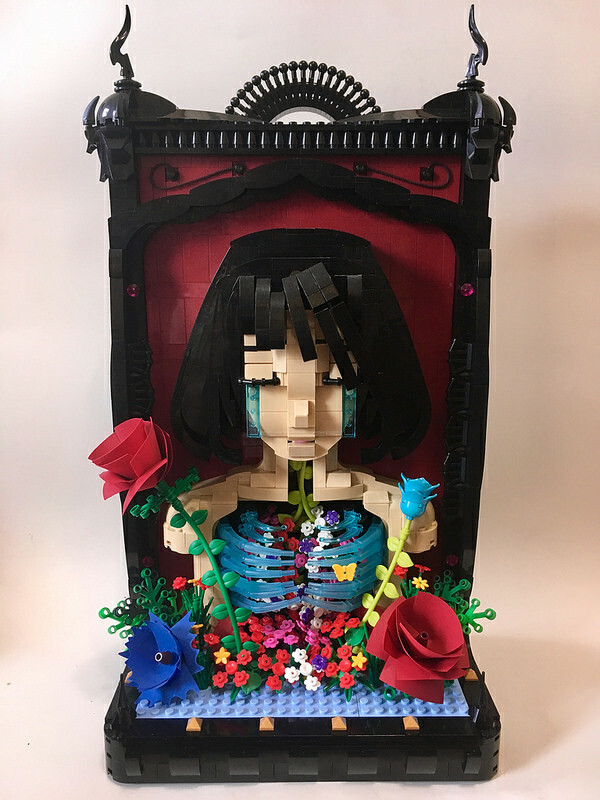 This beautiful LEGO sculpture by Xavier Viloria is both intriguing and unique. The builder was inspired by the works of Mari Shimizu and hakkachan and those influences do show in this lovely build. The central doll-like bust is well shaped and those silent tears are a lovely touch. I also like the tendrils that travel through her neck and open into a flow of flowers within her chest. 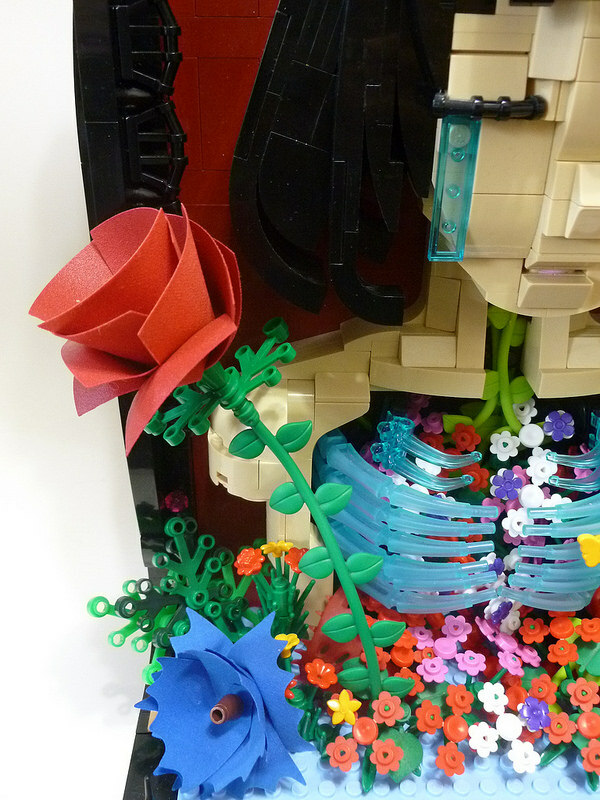 Without a doubt, my favourite part are the flowers that are made from minifigure cloaks. What a great use of those cloth LEGO parts — very effective.